Welcome to College Insights. 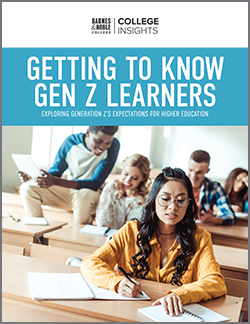 Culled from Barnes & Noble College‘s innovative research platforms, this new feature delivers key insights and intelligence on the factors shaping today’s college student experience. When it comes to textbooks, students like to shop online. The good news is that the campus bookstore has them covered, offering both in-store and online convenience for students. 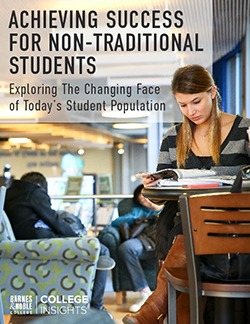 With 80% of students saying that they like to shop for their textbooks online, Barnes & Noble College provides an eCommerce technology platform providing integrated, personal experiences that online shoppers have come to expect. Students also have access to the Barnes & Noble College bookstore mobile app, where they can conveniently make purchases, check and track all of their orders, receive rental textbooks reminders at any time, and even get first notice on flash sales and special promotions. And while students want the option to order their textbooks online, they also love the convenience of free delivery and pick up, as well as returns at their campus bookstore. It’s the best of both worlds!